Just a reminder, last Friday I highlighted my favorites from the Nordstrom Anniversary sale. Up until yesterday, the sale was only for Nordstrom card holoders. Today the sale opens for everyone, so if you've been waiting now is the time to shop! the plaid Treasure & Bond top, the Stila All Day make-up set, this Natori bra, and this Lush t-shirt. Added bonus, my sweetie bought me this dress by Cynthia Steffe. When I discovered it, it was sold out, but a few sizes came back in stock and I snapped one up. Did you find anything good in the sale? There were lots of great boot options, but I have plenty of boots and they all have good wear left in them so it felt foolish to spend the money on a pair this year. So, back to our regularly scheduled posting...this week's Friday Favorites is devoted to you curly haired girls out there. I have (and have always had) naturally curly hair. When I was in high school it was very long. Since my early twenties though it has alternated between being bob length and shoulder length. I had been cutting it just to my chin as of late and straightening it a lot, leading to a lot of damage. Now I'm getting ready to get married and I'm trying to grow out my hair which means keeping it as healthy as possible, which means laying off the heat styling. After a lot of trial and error, I have settled on this routine which works really well for me. Before I get in the shower I use a wide-tooth comb and starting at the bottom, start combing my hair gently all the way to the roots taking small sections at a time. That's it. After that, I don't touch it again with a comb or brush. 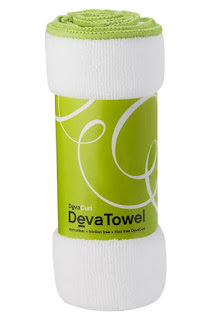 I use Devacurl No-Poo. It doesn't lather. You work it in at the scalp and then let it wash over the rest of your hair as you rinse it out. And it smells wonderful. 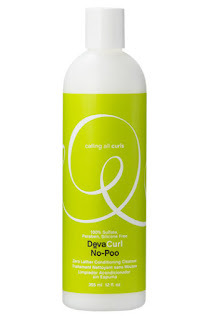 After I rinse out the No-Poo, I add the Devacurl One Condition. I start at the lower half of my hair and work it back up toward the roots, since the ends are what need the extra moisture and conditioning. I do not use a regular bath towel on my hair. I use a micro-fiber one. 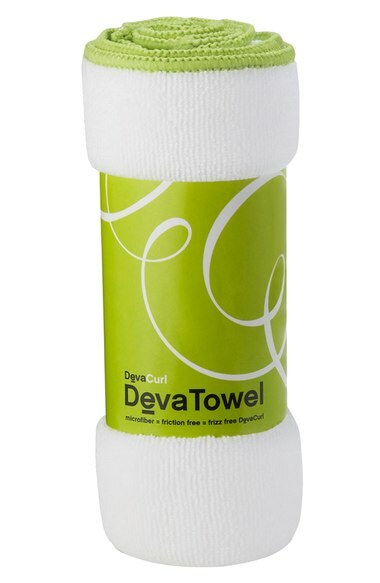 This Devacurl microfiber towel does the trick nicely. It dries my hair but doesn't pull at it which means less frizz! At this point I gently run my fingers through my hair and then I add curling cream. 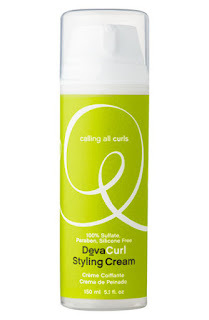 I alternate between a few brands but my favorite is the Devacurl Styling Cream. I use 2-3 pumps and work it into my hair, scrunching my curls as I go. Curly haired friends - any recommendations on how you keep your curls gorgeous? I love the diva curl products too! I have used the no-poo and conditioner but not the other too. I also really love Miss Jessies for curly hair. I used to hate how much extra work my curly hair seemed to be but now I love it! I'll have to check out Miss Jessie's!